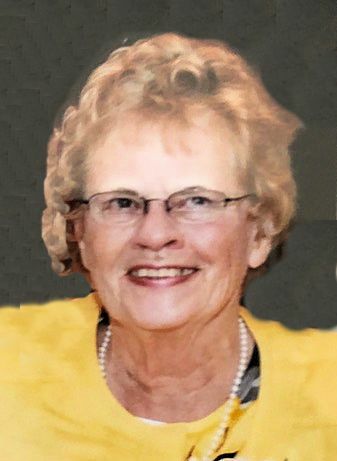 HANLEY, Margaret “Meg” (Wilkinson), of Randolph, formerly of Martha’s Vineyard, passed away peacefully, surrounded by her family, on Tuesday, March 26th, at the Good Samaritan Hospital in Brockton. She was 79 years old. Born in Oak Bluffs, Martha’s Vineyard, MA, on February 6, 1940, the only child of the late William F. Wilkinson and the late Rachel (Magnuson) Wilkinson. Meg attended Tisbury schools and graduated from Tisbury High School on Martha’s Vineyard with the Class of 1957. While her children were in high school, she attended Quincy Jr. College and achieved an associate’s Degree in Business. Before retiring, Meg was a Corporate Sponsorships Specialist with Bank of America for several years. Previously she was employed by Mulitbank and Bank of Boston. Meg was an active member of the South Shore Viking Association. She played golf with the club and was involved in all aspects of the club. Meg was very proud of her Swedish and Irish heritage. She enjoyed traveling, including going to Sweden. She loved all sports, especially playing golf at home and in Myrtle Beach and Florida. She also loved tennis and racquetball, she played softball in high school and was the captain of the basketball team. She took pride in her flowers and enjoyed yardwork. Meg is survived by her daughter, Deborah A. Keegan and her husband Lawrence J. of Billerica, MA, her two sons, William T. Hanley and his partner, Larry Woodward from Sacramento, CA and Ray R. Hanley and his wife Kathleen of Dedham. Four grandchildren, Kelly (Keegan) Mannarino and her husband Matthew of Burlington, MA, Erin Keegan-Cox and her husband Philip of Billerica, MA, L. Joseph Keegan, III of Billerica, MA and Marissa L. Hanley of Wilmington. Her great-grandchildren, Shane A. Cox of Billerica and Eliana J. Mannarino of Burlington and Baby Boy Mannarino due any day. She is also survived by several cousins, including Linda Hearn and her husband Glen and Eric Magnuson and his wife Debbie all from West Tisbury, Martha’s Vineyard, MA. Relatives and friends are respectfully invited to attend a visitation period on Monday, April 1st from 9:00 – 10:30 AM in the Cartwright Funeral Home, 419 No. Main St. (RT 28), Randolph, followed by a Funeral Mass at 11:00 AM in St. Bernadette Church, 1031 No. Main St., Randolph. Burial will be Tuesday, April 2nd at 12:00 Noon in the W. Tisbury Cemetery, Martha’s Vineyard. In lieu of flowers, memorial contributions may be made in her name to the South Shore Viking Association, 410 Quincy Avenue, Braintree, MA 02184.